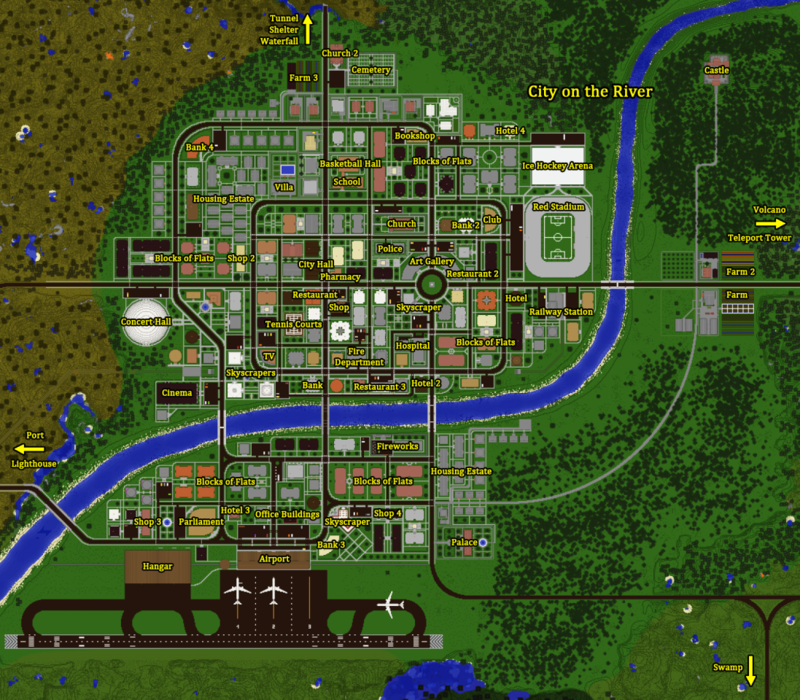 It's not finished yet, but someone asked me to upload it so he can edit my world into a bigger city. hope you enjoy it too. You can renovate the structures and turn it to your own design or just build your own buildings. :) Have fun with my map. Feel free to leave your comments and suggestions for this map. I am working on adding more structures and I will make sure it will be updated continuously for it to be more attractive and fun. *A new ride, unnamed but I'll name it here as the Race me Dude! ride. Note: some designs are inspired by Keralis and other youtubers so don't blame me for some plagiarism and copyright issues :) Also, structures' names are 98% fictional. You find a portal and you go in you explore different time periods to find a way to get back home. You find a friend that helps you return even tho he never could he helps you remake the portal by exploring areas and collecting elemental shards to rebuild the portal. Do you have what it takes to get back home. Or will time stop you where you are at??? There will be another map i will put up later. There's a preview of my second map if you get to finish my first one. This is a vastly different version of our project. It is amazing how much changes in a month! This is our last survival village map. This was started when we split up and played survival within two villages. We had a lot of fun in this world. A variety of houses ranging from small simple dwellings to large town houses.